Strong timber and canvas construction has allowed us to build within the natural bushland without major clearings. This gives privacy and a close connection with the peaceful surroundings. 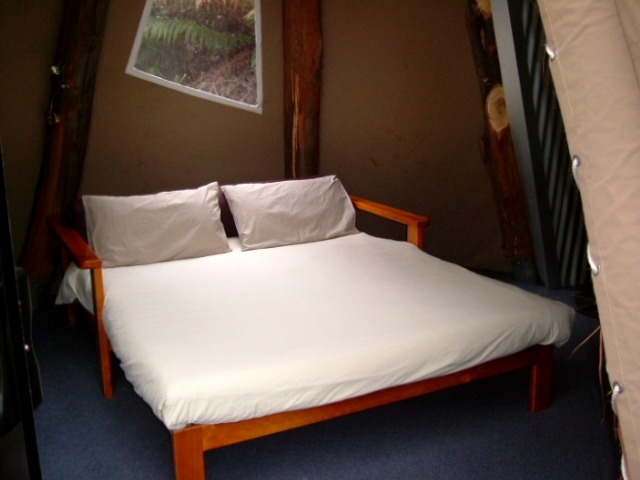 50 minutes south from Hobart, this Tasmanian glamping experience combines comfort, nature and low price. 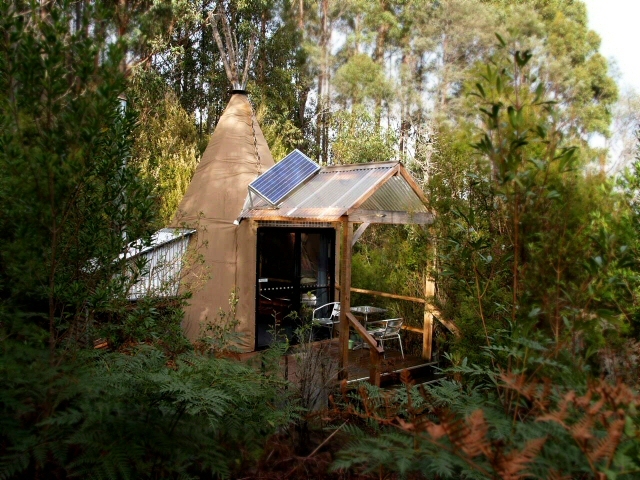 Strong timber and canvas construction has allowed us to build within the natural bushland without major clearings. This gives privacy and connection with the peaceful surroundings. You will be closely surrounded by wildlife of all sorts, including birds, mammals, arthropods and reptiles. If you prefer more separation from nature, you might prefer one of our cabins. Showers and toilets are at the modern campground amenities block less than one minute walk from your tipee. The campground also features our famous outdoor bath for two. This bath is shared among tipee and campground guests. The campground outdoor bath can be booked for a period of a couple of hours after you arrive (it cannot be pre-booked). After you arrive, you write your name on the whiteboard near the bath to book it for your exclusive use for a 2 hour period. The shared camp kitchen is well equipped for self catering. Most items are supplied including cutlery, crockery, utensils and pots. The gas range has a full sized oven. There is no refrigerator so you might like to bring an eski. Here is the place to enjoy the company of an open fire. The 12 volt solar electricity system runs the lights and supplied CD player. 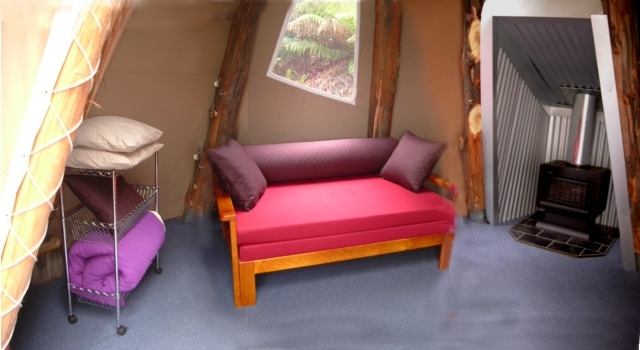 All tipees are free from television and 240 volt electricity. We can charge small 240 volt appliances at reception. 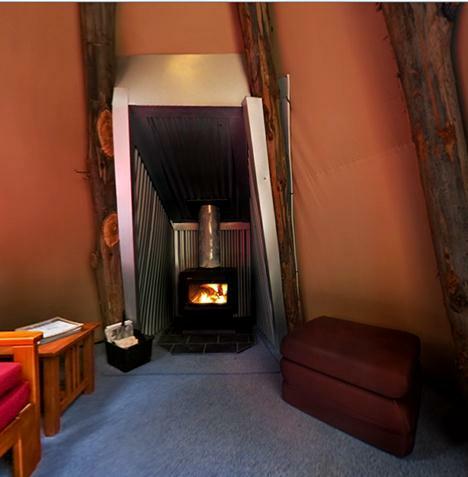 You can use your mouse to explore the Tipees – click on the movie preview image to load a 360° movie.